There’s something for everyone at a farmers market: food, conversation, entertainment and sunshine. Luckily there is no shortage of farmers markets available in Colorado. As you gear up to revisit your beloved neighborhood market or explore some new ones this season, check out these tips for making the most of your trip. 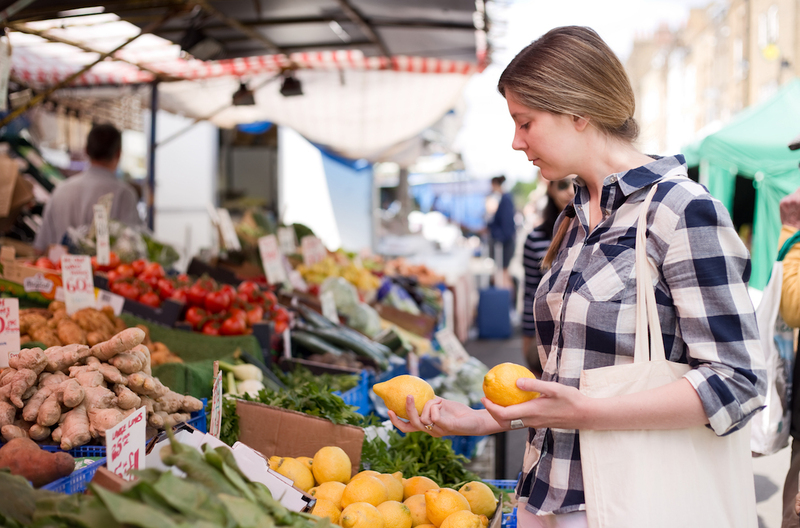 This might be the first cardinal rule of any farmers market: bring your own bag. Grab a tote or backpack to haul your fresh loot home. Make sure you have cash on hand, too. Most vendors prefer cash and it make your buying experience simpler, and save on the number of receipts in your pocket. The best produce and smallest crowd goes to the early bird. Show up when the market opens for your pick of the crop and to avoid long lines. Late sleepers rejoice! You’ll still find some good deals on farmers market produce toward the end of the day. Vendors are usually willing to discount products that haven’t sold rather than load them back up again. However, be aware that the best produce may be gone by the time you arrive. By understanding which fruits and vegetables are in season and which one’s aren’t, you’ll know what to expect when it comes to flavor, price and availability. Not sure what’s in-season? Just ask! Strike up a conversation with farmers and vendors to find out what they recommend, how’d they prepare a certain vegetable and any other tips or stories they may have. Wednesdays, 4 a.m.- 8 p.m. The food fun doesn’t have to stop at the farmers market, check out these stores to make your next protein stop around Colorado!